Mike founded Rx Savings Solutions in 2008 after watching the prescription drug system fail his pharmacy patients on a daily basis. He knew the system could be mined for better outcomes, and that technology could help him reach the most payers and consumers with a solution. The goal: arm them with information and bring market efficiency and transparency to the world of pharmacy. Mike calls persistence his key trait. He needed every ounce of it to evangelize the solution early on, sometimes even to convince people of the problem. Now his persistency is focused on growing the business and helping even more people afford the medications they need. 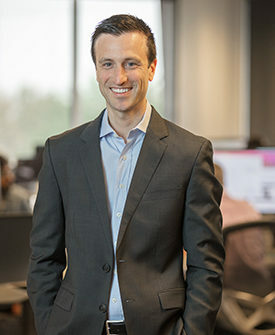 Drew is a high-performing veteran of the healthcare industry with entrepreneurial instincts. After 10 years in sales leadership and training roles within Johnson & Johnson, he joined Michael Rea at Rx Savings Solutions, bringing his passionate, fearless and competitive energy to the fledgling enterprise. 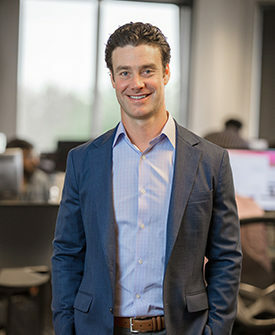 Once a sales force of one, Drew now oversees the commercial side of our business and is responsible for meeting aggressive client growth and revenue goals. More than anything, he wants to put our solution into the hands of every health plan member in the country. His optimism and leadership might just make it happen. Brandy brings a wealth of experience in corporate law, including mergers and acquisitions, contractual arrangements, and corporate governance and management. Before joining Rx Savings Solutions, she represented pharmacies, pharmacy benefit managers and other healthcare clients. 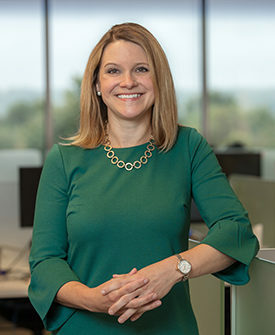 She quickly developed a knack for navigating complex healthcare laws and contract negotiations, both of which are mainstays in her current practice. Positivity is another. For Brandy, it’s all about building strong business relationships from the start. She knows it takes great partners to change this industry and improve lives. Shahryar is a healthcare information technology visionary. 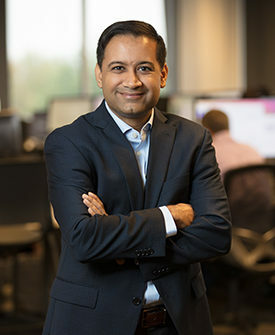 He spent 11 years at Cerner in a variety of engineering and managerial roles in data warehousing, business intelligence, and real-time eligibility and claims adjudication. 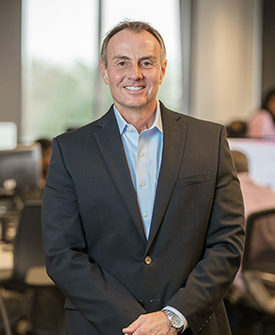 During his tenure he created a third-party administrator organization and leading-edge technology for on-site health centers, wellness programs and provider networks. For Shahryar, healthcare IT is about more than clinical efficiency. It’s personal. He doesn’t see our members as numbers in a database—they include his own family, friends and colleagues. That explains his team’s singular devotion to saving them money. Frank brings more than three decades of finance and management experience to Rx Savings Solutions. 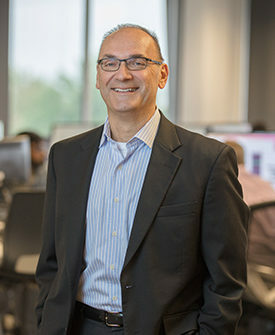 He joined the company after serving as the finance leader for a number of operating units at Quest Diagnostics. He started his career with KPMG and has held CFO positions at Balance Innovations and Innovision. An accomplished number-cruncher and negotiator, he attributes those skills to growing up as a middle child with nine siblings. Not surprisingly, Frank believes fiscal, physical and mental health are closely related. No wonder he was so drawn to the Rx Savings mission and works hard to deliver financial peace of mind to all of us—especially our members. Randy joined Rx Savings Solutions with an executive track record in both emerging and large-scale product and service enterprises. He has designed, launched and managed several large-scale businesses while at Fortune 500-level companies. If there’s one key to his 25 years of success across diverse industries, products and services, he’ll say it’s an unwavering focus on the consumer. His teams will tell you he’s an inspiring leader who’s sincere, supportive and never quite satisfied. To Randy, there is always a better way to solve problems, and always more we can do for our members and clients. Peter brings creative energy and passionate consumerism to all our solutions. 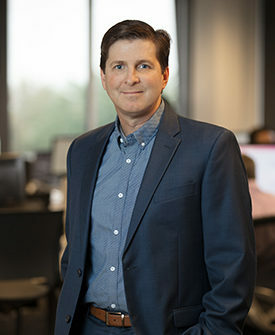 He joined Rx Savings Solutions after 20 years at Quest Diagnostics, where he served in a number of product development, marketing and operations leadership roles. A confessed penny-pincher, he never stops looking for ways to save a buck, whether it’s for his own family or millions of Rx Savings members. Nothing pains him more than seeing people lose what they’ve worked so hard to gain, just to get access to the medications they need. Peter knows we have a large dragon to slay, but he’s grateful for the opportunity to contribute every day. Katie joined Rx Savings Solutions after leading the global revenue marketing team for Lexmark Healthcare. She spent the previous 10 years in marketing management roles at Elekta. As a career healthcare marketer, she’s witnessed technology’s power to enhance not only healthcare delivery but also awareness and consumerism. All of which comes in handy as she oversees our marketing, member engagement and brand management efforts. Customer journeys and pipeline growth are important, but for Katie there’s nothing better than hearing a member’s joy at learning they have money-saving options they didn’t know existed. Especially when we can share their reaction with others. 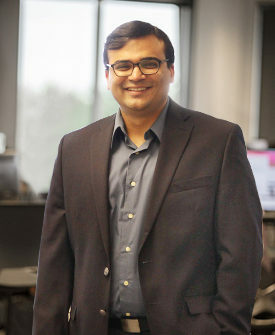 A career healthcare technology leader, Shahzad joined Rx Savings Solutions after 13 years with Cerner, where he led the Cloud Platform development business unit and served as an agile coach. His keen understanding of agile principles and team dynamics helps our engineers thrive in a build-ship-learn environment with nimble, self-organized teams. You might say he enjoys helping others grow professionally and personally, but that would sell Shahzad short. He’s passionate about helping people succeed, especially when it comes to healthcare outcomes. He definitely picked the right team.